A simple and cost effective reception desk system and wooden front in Cherry, Light oak, Wenge or White. Counter tops are in a matching wood finish or frosted glass. The XT range of reception desks is manufactured in Italy and held in stock for a 5-10 day delivery to the UK. This range is part of the XT range of executive furniture comprising matching executive desks, cupboards, boardroom tables and bookcases. The majority of this range can be found in the executive furniture collections section of this web site. The reception area is a hugely valuable tool for any business. The reason for this is that it gives the first impression of your company to any new visitor, whether it be a potential client or existing client. It is in this area that they will form their first impressions of your business, in many cases without even knowing it. It is for this reason that you want to make sure that the reception area reflects the professionalism and reputation of your company. When refurbishing your reception area, you will want to make sure that the colour scheme works well with the furniture you have chosen. This does not necessarily need to match the furniture colour for colour, but your business will be negatively impacted if you have furniture that sticks out or looks out of place in your reception area. Once you have chosen the colour scheme (a good place to start might be adopting the colours of your brand or company) you then will want to look at the layout, type and quantity of furniture. You will want to make sure that you have an inviting and comfortable area for visitors to wait for you. 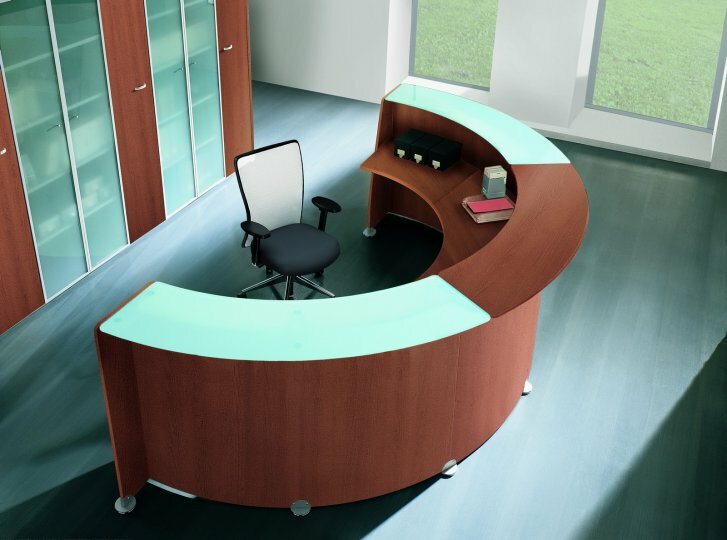 The first point of call for any new visitor to your office, will be the reception desk. This is why you want it to look good and professional to reflect your company and this first impression is one that you can never get back. The XT reception range is an affordable solution to this. 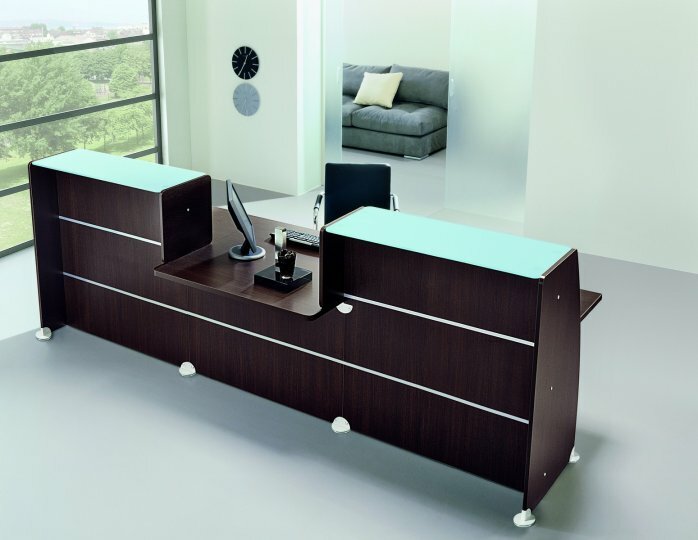 This desk will give a positive and professional look to your reception area without you having to spend a fortune. These reception units are modular and in this section, there are combinations of desks for you to look through, however if you cannot find the right combination for you, you can build your own to your specifications by calling our expert sales team. We support the XT range of reception desks with our free space planning and design service. 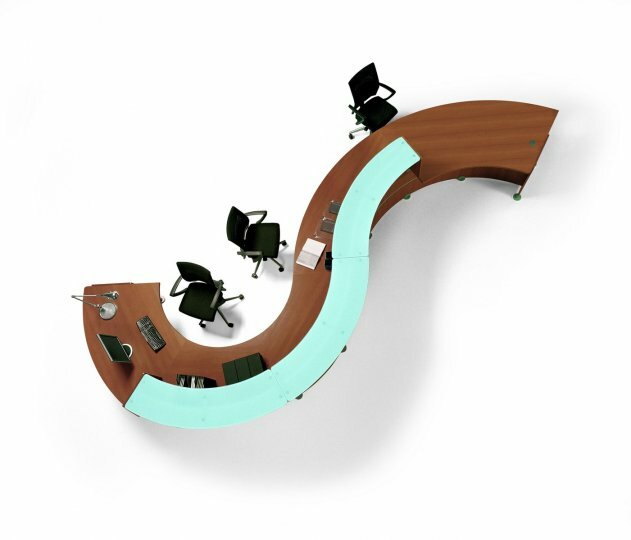 Our design team with provide a 3D visual of how the XT reception desk will look in your reception area. If you require a full reception area plan then we can do this also free of charge. If you would like to take advantage of this FREE service, then please contact our dedicated expert sales team on 01823 663880.